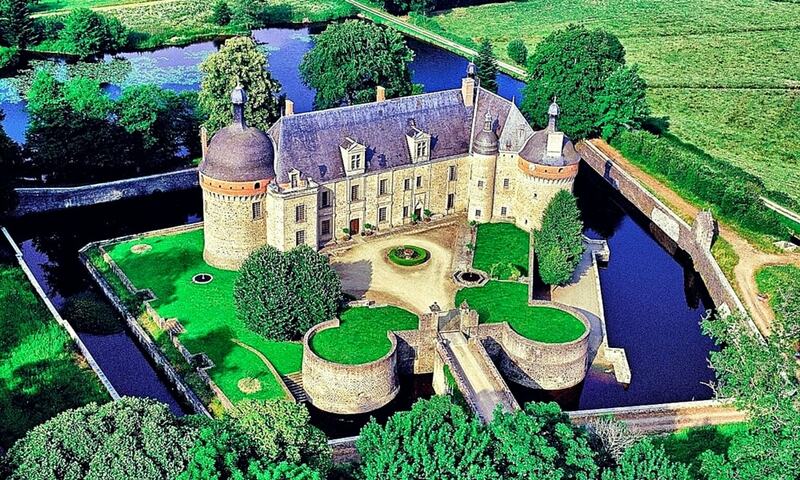 The Castle of Saint-Germain-Beaupre had been in the possession of the Foucault family for nearly six centuries. The first fortification on the site was built around 1182; extensive renovations were carried out in the first part of the 15th century. The present building dates from 1558 when Gabriel I Foucault rebuilt the 14th-century fortification, severely damaged during the Hundred Years War. At the end of the century, Jean VI d'Aumont, head of Catholic League troops, devastated the castle in a series of raids during the French Wars of Religion. Found guilty of crimes against the Foucault family, he was obliged to restore the castle at his own expense. In 1594, King Henry IV ascended to the throne of France and ended the Religious Wars. In 1605, he spent a night at Chateau de Saint-Germain-Beaupre; his daughter, la Grande Mademoiselle, was also a guest of the castle in 1666 which she recalls in her Memoires. 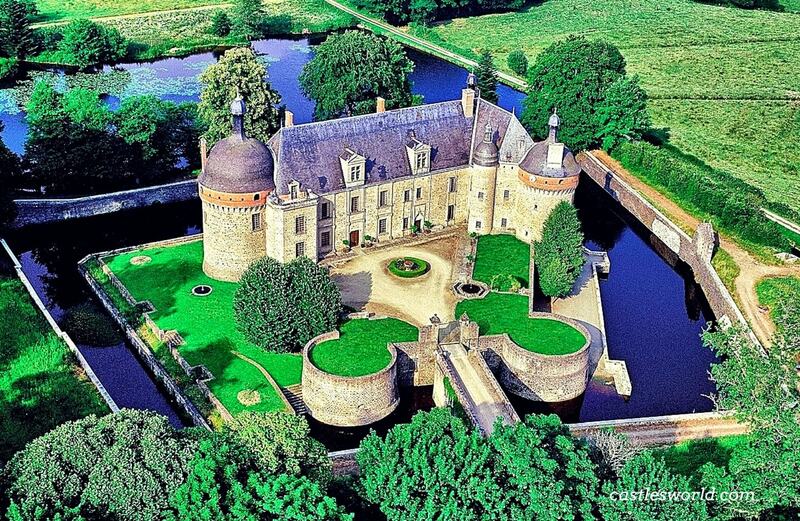 In 1768, the castle passed into the hands of the Marquis Doublet de Persan, a close relative to the Foucaults. Financially ruined, he had to sell it on the eve of the French Revolution. The castle changed hands several times in the next century; neglected, it gradually began to deteriorate. In 1860, the new owner - architect and public works contractor Pierre Berthomier - undertook repairs and completely rebuilt a collapsed tower. At the end of the 20th century, James Tseliki, a British architect, restored the property to its former grandeur with all the benefit of contemporary utilities and luxuries. As a result, the condition of the castle today is excellent. It stands in the middle of a beautiful park, with three lakes. The castle has its own water system dating to the Roman period, a moat and a drawbridge. The castle is privately owned; there are rumors that it is for sale.